Your dad is from Germany and your mom from Jamaica. You represented Germany as a junior and a cadet, winning bronze and silver at European Cups respectively, as well as bronze at the German U18 nationals. But the island where your mother was born calls … Learn about Devin Waldenburg, who debuted for Jamaica at the Paris Grand Slam. 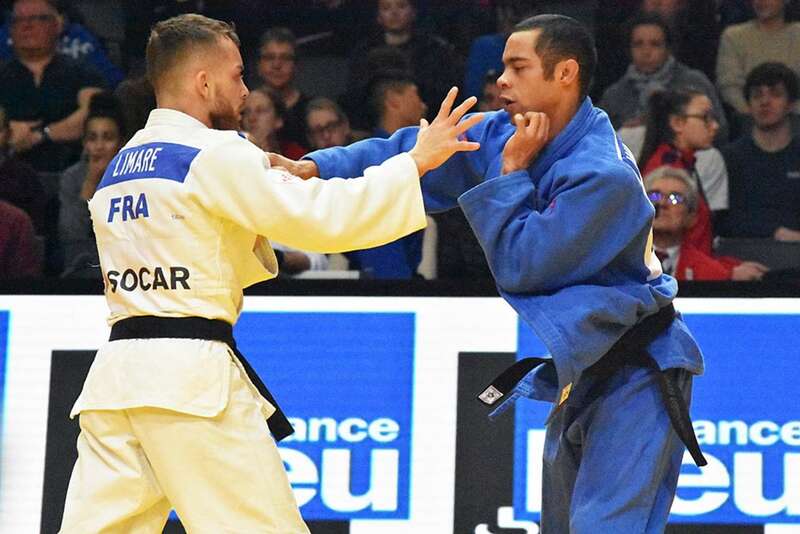 His first big World Tour event, but also an inaugural appearance for the Jamaican Judo Association at this competition as well, since the association was launched in September 2018. “I’m proud to be able to represent Jamaica. It’s a small country with only 2.8 million inhabitants. If you compare to Germany, it is as many as my home city Cologne. Both my parents are proud of me presenting Jamaica, especially my father. They both knew it was a big dream of mine. However, my mother told me not the forget about my studies as well,” the 22-year old law student added. This year’s edition of the Paris Grand Slam was Devin’s first big tournament and first Grand Slam. “I was a bit flabbergasted when entering the Bercy Arena. So many big judo names have won medals here on the tatami. So, I couldn’t help it being impressed. Now I’m part of it and had to perform myself in this Arena. When I saw the result of the draw. I thought … oops … a French judoka as a first opponent … That’s gonna be a rough ride, but also … what an honor, because judo is such a big sport in France, with legends like Teddy Riner. I told myself, OK, this is going to be a tough fight, let’s make the best of it. So, I was pretty nervous. I didn’t know how the crowd would respond to me as an opponent of a French judoka. But once on the tatami all those feelings evaporated, and I could focus again. I dug deep and tried to beat my opponent which unfortunately I did not succeed. Hence, I’m not satisfied with the outcome, but grateful for the massive experience,” Devin ends.